I was working on my Metazoic site today and I finished the group of Typical lemurs, the family Chirosapidae. It is one of my favorite groups because it is so varied. 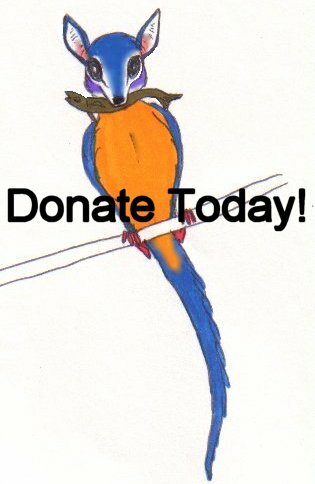 It can be viewed here: http://www.metazoica.com/TypicalLemurs.html. Basically all I really did was fix the pics and remodel a couple of species that I think needed better representatives. Only 7 of the 14 genera in the family is discussed on the site, but these are the most interesting. These include the last of the bushbabies, which are the root of this family in the Metazoic. With the African, Eurasian and Australian continents colliding, these lemurs will colonize every corner of the Old World. One species, Oreolemur, will also colonize the old world oceans, as far west as Bermuda and as far south as south Africa, possibly into the northernmost part of the Southern (Antarctic) Ocean. Aside from this group, I have been going around my site breaking the connections to the flash movies, and just sticking with the regular site pages.